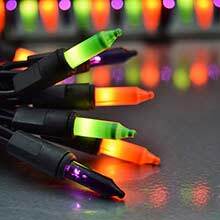 300-Count Orange Garland Lights - 9 ft. 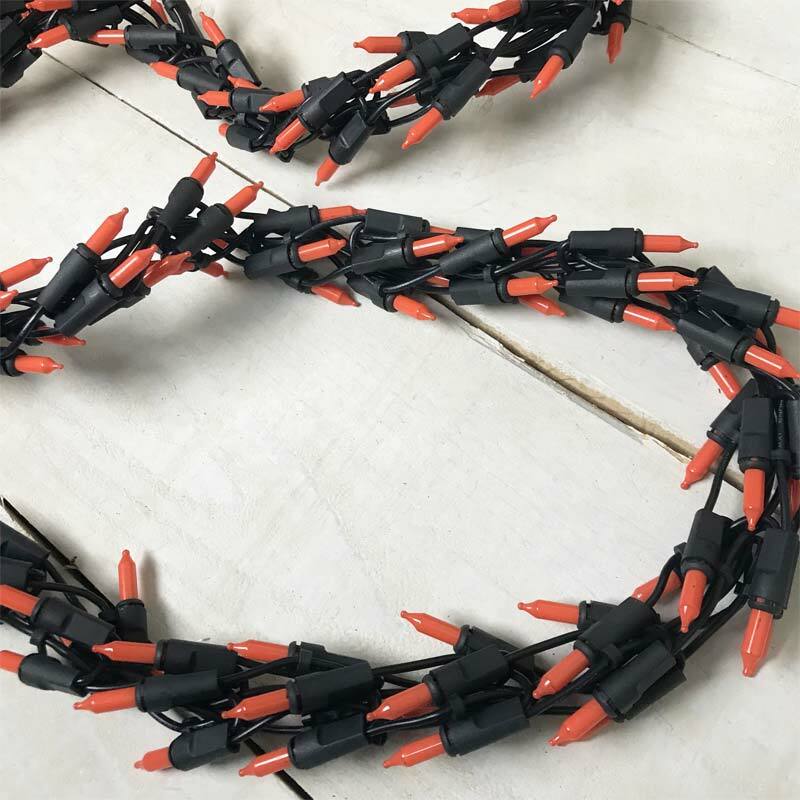 Create a haunting ambiance in your home by adding this unique orange garland light to your Halloween décor. 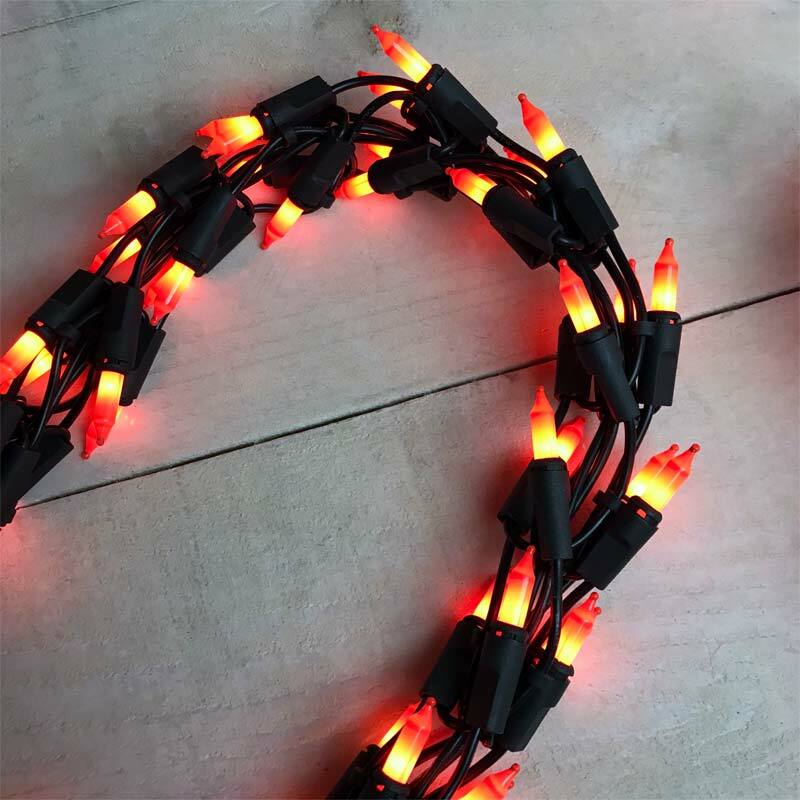 This garland strand features 300 orange mini lights on approximately 9 feet of black cord. 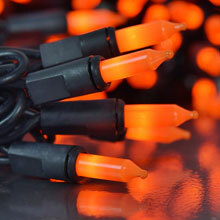 The orange garland string lights are great for decorating indoor or outdoor. Use them on pillars, banisters, mantles, fences or in any area that you want to illuminate with an orange glow. 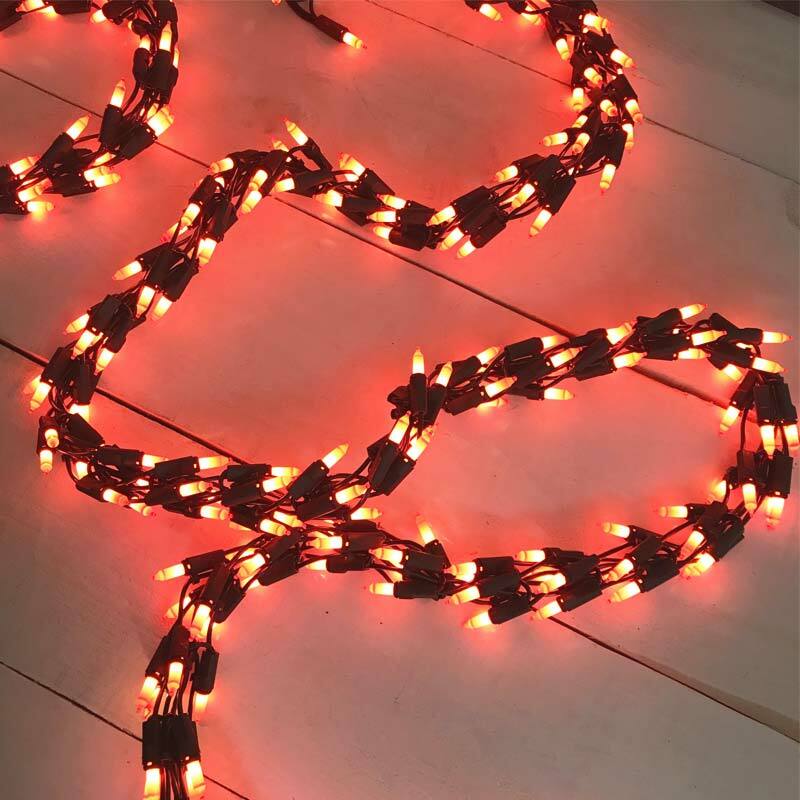 The garland light set features end-to-end connection, allowing you to connect multiple strands to create a longer set of orange lights.